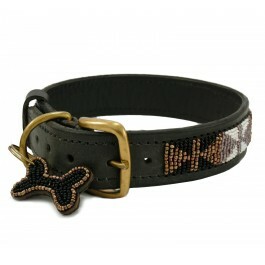 What are Malulu Dog Collars? 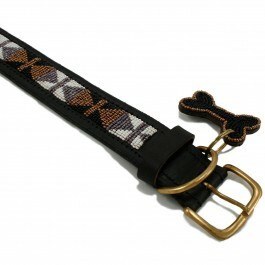 Malulu hand-beaded dog collars are made with love in Kenya. Each item is beautifully crafted by specially trained artisans using glass beads. The items are hand-stitched to make them exceptionally strong and long lasting. Every bead is sewn on to free-range Kenyan cow hide, which is a naturally robust leather. They are then finished on the inside with a softer goat leather lining. The sturdy solid brass buckle and ‘D’ ring are hand-cast using recycled brass padlocks and water taps. This form of recycling not only benefits the environment but creates employment as well. What is Malulu and what is the story behind the collars? 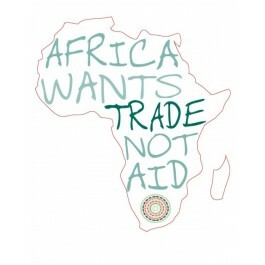 Malulu’s vision is to help empower deprived communities in Kenya to lift themselves out of poverty through their mission statement: ‘Trade, not Aid’. Before joining Zinj Design, many of the villagers were either unemployed or doing very sporadic, poorly paid agricultural work. In joining Zinj Design, workers are now part of a sustainable source of employment and a regular wage. Zinj Design not only provides employment, but advice and support also. Zinj Design hold a policy that each worker has their wages paid into the worker’s bank account, rather than being paid in cash. This system helps enable their workers to better manage their money and encourage them to save for the future. Women have benefitted in particular, as there is virtually no employment for women throughout the area. Poverty means that very few women ever go to school, yet many of them must raise a family alone. Malulu wholeheartedly supports Zinj Design’s encouragement of women to attend training sessions, and to take on what is traditionally a man’s craft. The steady income that creating these beautiful collars brings, means that the workers can settle down with their families and send their children to school. Malulu has been working closely with Zinj Design since 2013, and their successes are strongly reflected by Zinj Design's motto: ' Changing Lives, One Bead at a Time '. 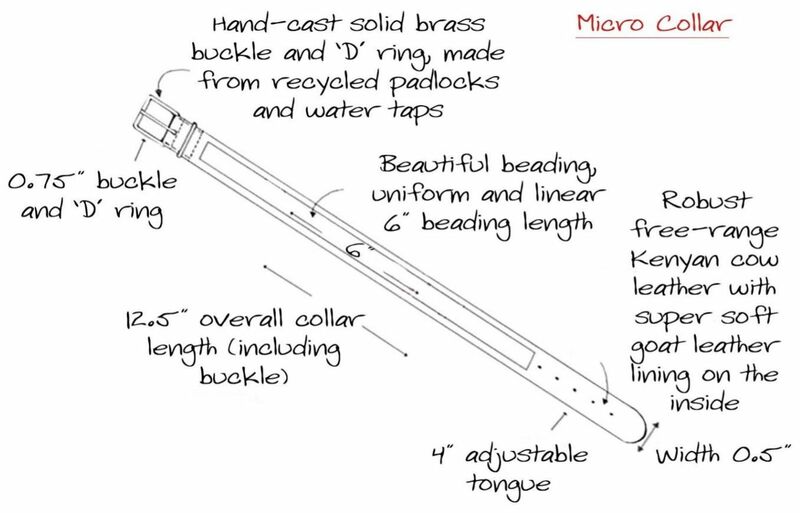 What are the benefits of using Malulu Dog Collars? What size collar would best fit my dog? Please Note: Every dog is different and the breeds listed are only guidelines to help you assess which collar is most suitable for your dog. Malulu strongly recommends that you measure your dog’s neck, ensuring two fingers can fit between the collar and their neck to ensure the collar fits comfortably and securely.